A Fusion teacher and a student get to work. Fusion Loudoun will be the fifth Fusion Academy in the Washington, DC, area. Education should be about relationships. That’s the line Dan Morgan emphasized more than once during a recent Lunch and Learn event hosted by Fusion Academy, a private school that will open in Lansdowne this fall. Morgan, Fusion’s regional vice president of New School Development, spoke to parents, educators and mental health professionals May 3 about how a one-to-one teaching model can help every child succeed. Michelle Rose Gilman started Fusion Academy in her garage in San Diego more than 25 years ago. She began mentoring high school teens out of frustration with the educational status quo. “She knew the answer was not to standardize education, but to personalize and customize it to the needs of each child,” Morgan said. Now Fusion is fully accredited and has grown to more than 40 tutoring centers nationwide, enrolling middle and high school students. Loudoun County’s location will be number 41. Fusion pairs students with mentor/teachers and leaves it to them to guide a lot of their learning. Students can choose from more than 400 courses, and they can access to on-campus an art center, yoga/dance studio, science lab, and music recording studio to create and learn. “We want to meet them where they are and get them to where they need to be,” Morgan said. Fusion can be for those students who struggled in school and fell behind, or those who were so far ahead of their class they grew bored and disengaged. “The common thread among all of our students is traditional school didn’t work for them,” Morgan said. 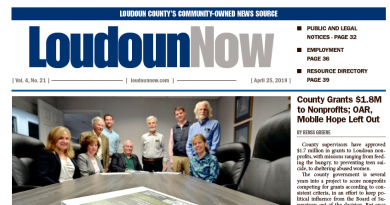 Fusion Loudoun will move into renovated space at 19300 Promenade Drive Suite 200 at the Lansdowne Town Center. It’s expected to open in late August with about 15 students, middle and high school, and then grow to 30 by the end of its first year. At most, the school will enroll 80 students. Students can enroll full time, just take a class or two, or take part in tutoring. Tutoring can be in almost anything the students wants to learn more about—from physics and Algebra to drumming and jazz theory. Cost to enroll full time is about $38,000. Courses can also be taken and paid for à la carte at $3,875 per course per semester. Tutoring sessions cost $120. Fusion Loudoun has several upcoming events: Meet Head of School Meghan Marinos at a brunch, 10:30 a.m. to noon May 27 at Shoes Cup & Cork, 17 N. King St. in Leesburg; and meet and greets are planned for 1-3 p.m. May 31 and 6-8 p.m. June 6 at the Loudoun County Public Schools’ administration building, 21000 Education Court in Ashburn. Learn more about Fusion Academy at fusionacademy.com.